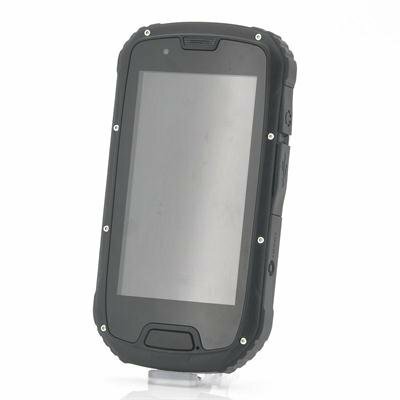 Successfully Added Rugged Android 4.2 Phone "Utor" - 4.3 Inch Gorilla Glass Screen, Quad Core CPU, IP67 Waterproof (Black) to your Shopping Cart. 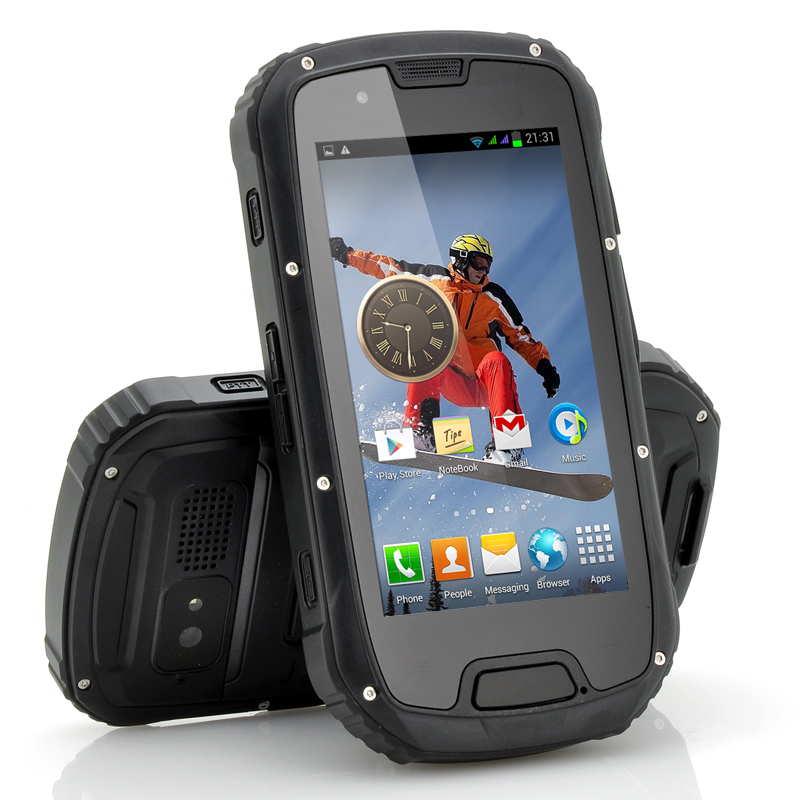 Rugged Android 4.2 phone with 1.2GHz Quad Core CPU, IP67 waterproof rating and 4.3 Inch Gorilla Glass Screen. Named after a powerful typhoon which raged over the western pacific, the rugged “Utor” phone is a true powerhouse. Not only will it withstand tropical storms and hurricanes, the “Utor” is also perfectly suited for daily use. Using Gorilla Glass manufactured by Corning, the 4.3 Inch screen of the rugged “Utor” phone is no longer the most fragile part of the phone. The chemically strengthened glass alters the atomic configuration so that the glass is more durable and fundamentally tougher and more damage resistant than regular displays. From construction sites to mountaintops to swamps and sewers, this phone is made to survive in the most extreme environments. Fully protected by a sturdy plastic and rubber outer case, the phone can absorb shocks and all ports have been sealed tight to make is IP67 fully waterproof and dustproof. The brains behind the muscles are the Quad Core processor clocking at 1.2GHz and 1GB of RAM making sure that the Android 4.2 operating system beneath your fingers runs ultra smooth and responsive. The “Utor” even comes with 2 cameras, a front 1.3MP camera and a back 8MP camera, allowing you to shoot pictures of your trips, but also coming in handy when needing to photograph spare parts and more in a professional environment. Furthermore, you will have a GPS navigation system to your disposal, Wi-Fi internet and two SIM card slots with GSM and 3G connection! This rugged waterproof Android Phone is now in stock and comes with our acclaimed 12 months warranty. Brought to you by the leader in wholesale Android Phones, Chinavasion. The battery of the "Utor" is built in and can not be removed. Have had this phone about 6 months now and I love it dose everything I have asked for and more. I did get a big scrach on my screen not sure how I did it. Still a great GPS unit, but I can't use it as my main phone-see below. China vision service really is quite good, though. They kept in touch and owned up when it turned out they couldn't fix it. I decided to keep it because it serves as a decent GPS unit and emergency phone when I'm cycling. Beware! It can't handle 3g-there's a bug in the Android setup that causes the display manager to crash when there's a 3g card in the slot. The manufacturers aren't going to update it, so it's only good as a gsm phone. WOW! This is a big old beast: my days of iphone envy are over. It's as solid as a rock and very comfortable in the hand. Even the included headphones are okay. The screen is remarkable, compared to my old phone. I am VERY pleased with this purchase. I'm not wild about having a built-in battery, but I can appreciate that that helps to make it more rugged and, at this price, I'm not sure it's an issue. This product? Fantastic! Working perfect. I am now the action king. I am satisfied. Thank you. Brutal military standard. I understand that the telephone is water protected but bend the cover to open the charging spot with a screwdriver is brutal. But I like it. This it serious military standard.